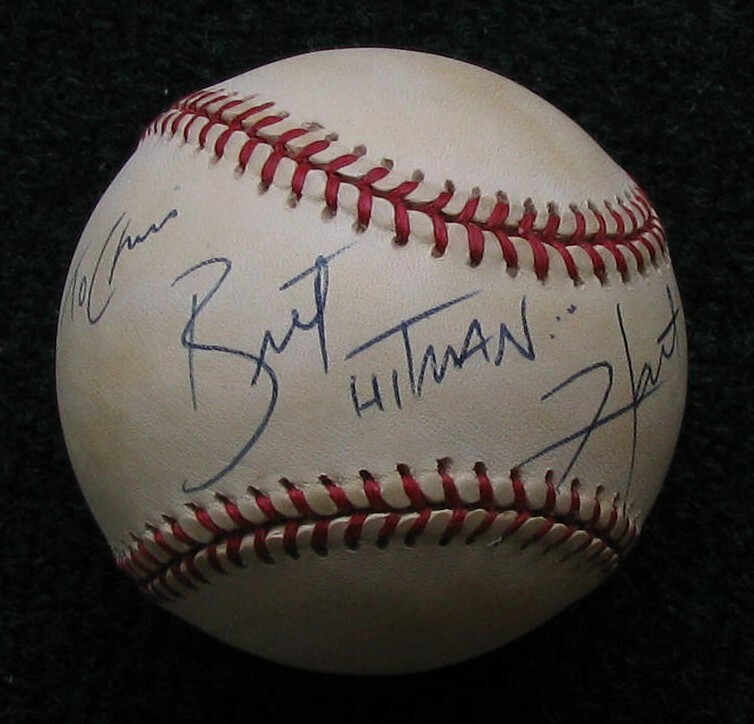 Here is a Bret "The Hitman" Hart signed baseball. You wouldn't really expect to see a Bret Hart autograph on a baseball; a puck maybe or even a photo but a signed baseball? Bret is one of the greatest professional wrestlers of all time. What's really cool about this piece is that it's personalized.